What is minimally invasive surgery? 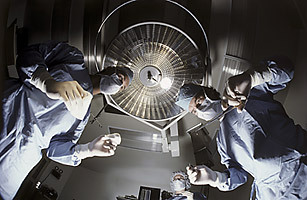 Some argue that this benign-sounding concept just transfers the pain of the operation from the patient to the surgeon. Others can't even agree on a definition of the term, believing that any procedure that causes less morbidity is by nature minimally invasive. I think that the definition question at least should be left up to the patient. When the person who will have to undergo the procedure asks, "Do I have to?" it's a good bet you're talking about something invasive. If the patient responds, "Why not?" chances are the procedure is worthy of the "minimally invasive" label. Historically, an operation meant healing with steel and pain  an unpleasant pairing that limited the growth of the surgical specialty until the advent of general anesthesia in 1846. Massive progress in understanding infections and physiology followed. Surgical innovations steadily improved patient prognoses, but post-op pain and morbidity associated with violating what should be inviolable body cavities persisted. We had plateaued again, and in some ways we're still stuck. A surgeon's perspective of "minimally invasive" often involves just minor modifications to the normal procedure: perhaps a smaller incision carved into the abdomen or a novel instrument elegantly piercing through the rib cage and fracturing fewer bones. Patients often find these approaches plenty invasive and share those insights as they request more pain medications. But two advances have changed the status quo. Robotic surgery, for one, now allows manipulation of tissues and sutures inside the body with no need for large, traumatizing incisions. This has helped my cardiac-surgery colleagues perform reconstructive procedures, including valve repairs and bypass grafts, on the heart. Ablative  or tissue-eliminating  procedures like removal of the prostate are now common. (To be clear, robotic devices aren't really robots but micromanipulating tools that serve as slaves to a surgeon sitting at a console.) But the ability to perform open-heart surgery with a closed chest challenges every paradigm of our surgical forefathers. Still, I believe robotic surgery is being leapfrogged by a second advance: the use of more-elegant instruments inserted through body orifices or into blood vessels in the groin and threaded to distant sites in the body. Instead of seeing with our eyes, we visualize with radiological imaging. Instead of manipulating with forceps and scalpels, we use clips and stents at the tips of catheters. My first insight into this new world occurred in Bergamo, Italy, more than a decade ago, when a surgeon shared a new single-suture technique to repair the heart's mitral valve. If one precisely placed stitch could fix the valve, I wondered, why couldn't a catheter placed through the groin be used to put the suture in place, avoiding a chest incision and stoppage of the heart? I wrote a patent for such a technique on the flight home, and the product created around the concept is now widely available in Europe and has completed FDA trials. Companies have sprouted with similar dreams of fixing heart valves even as our most poetic organ is still beating. Early results are encouraging, which is impressive considering that the task is similar to repairing a car engine while it is still running. These percutaneous (placed through the skin) catheter approaches often allow patients to go home within a day with little pain medication. Patients can't tell if long-term results promised by physicians will come to pass, but they can easily assess the short-term penalty of any approach that leaves them in bed wrestling with pain. And if a less invasive approach turns out not to work as well on some patients, they can at least have made that choice with the often correct belief that they can pick a more invasive option later. This brings us much closer to the world of "Why not?"